Located at the end of a quiet, gravel road, this unique home exudes comfort and charm. The large, sun-filled family room has a tiled floor and vaulted ceiling and provides ample living space, looking out over the in-ground pool and wooded backyard. The adjacent living room has warm hardwood floors and a beamed ceiling, belying the home's cottage origins. The ground floor is rounded out with a renovated kitchen / dining space and a new master suite. Upstairs, three more bedrooms complete the home. With a walk-up attic and full basement, there is plenty of room for storage or future expansion. Additional updates include newer windows, newly added insulation throughout and updated bathrooms. 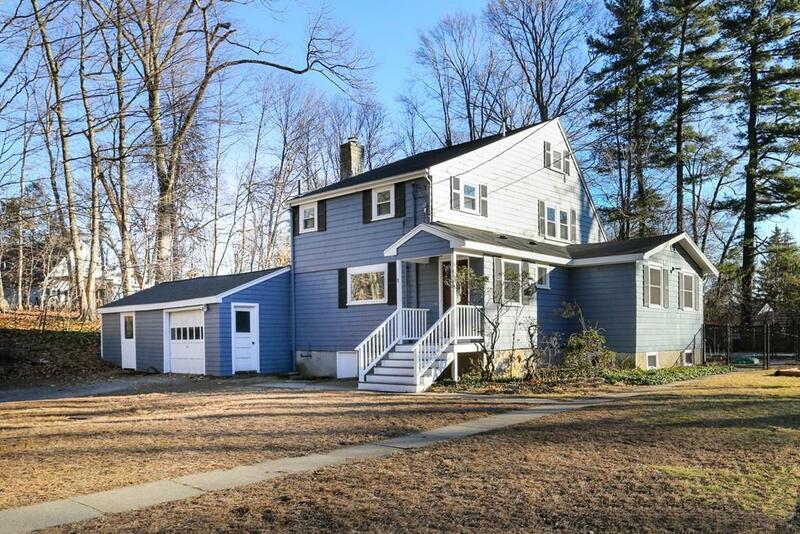 The house is located in the beautiful Dudley Pond area of Wayland - close to shopping, local amenities and easy commuting.